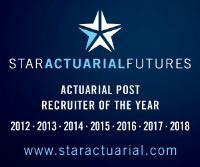 A leading London Market firm is currently looking for a nearly/newly qualified Actuary to join their Reserving team. The role will cover quarterly reserving of both Short and Long tail business classes. Candidates will have strong backgrounds in reserving from either a Lloyd's or large commercial firm. Ideally you will have experience in liaising with senior stakeholders and be commercially minded. ResQ experience would be beneficial but not a necessity.